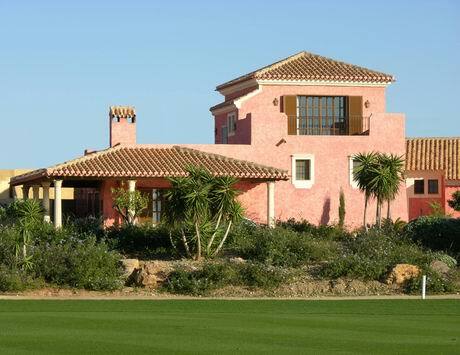 A Texas four-bedroom detached villa of the type under offer at Desert Springs in south-east Spain which is being sold at a discount of 22.5 per cent off the list price. Just on the market in Spain is a four-bedroom, three-bathroom detached villa which is being offered for sale at a price which has been reduced by almost a quarter to help secure an early buyer. The Spanish Colonial-style property is at Desert Springs, Europe’s only international award-winning luxury family resort and championship desert golf course in the Almeria region of south-east Spain. Previously used as a showhome, the villa now is being sold via the Cheltenham-based Almanzora Group for £564,000 (€662,625) – a discount of 22.5 per cent off the list price. Occupying an elevated location with panoramic valley and mountain views, the 176 sq m Texas country villa stands in a landscaped garden with a built-in barbecue and space for a private pool. The property comes with air-conditioning, a roof terrace and external single garage. Furnishing packages are available.